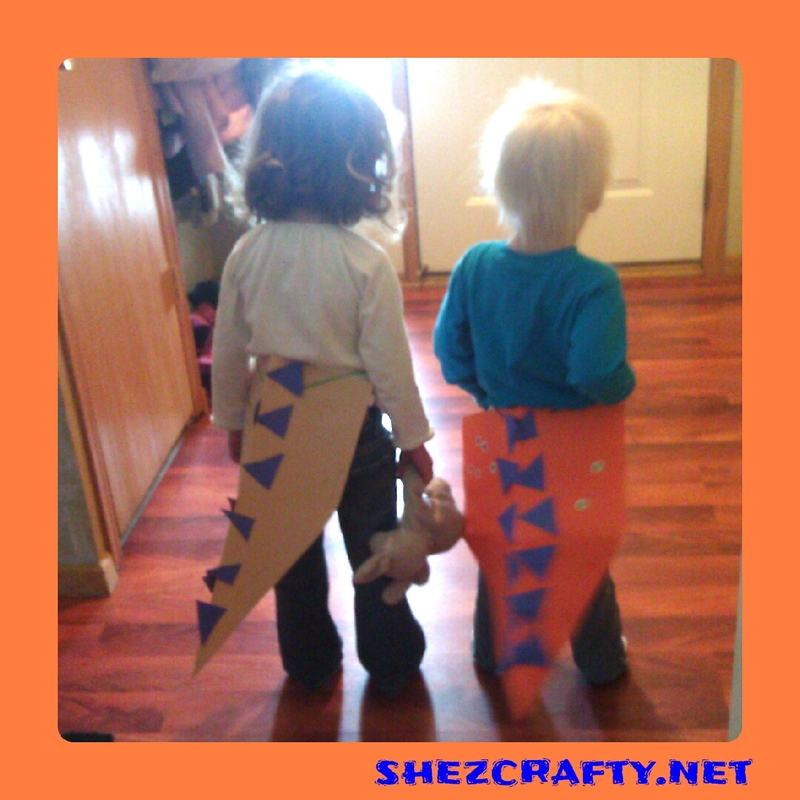 Have you ever tried to get your littles to stand still with a dinosaur tail on? Fold the paper in half and cut the tail shape. When paper is still folded on the top punch a hole so you have two on top and string yarn though. With the scraps cut out some triangles for spikes and glue the on.